Mejora tu ritmo es un libro devocional basado en historias de deportistas famosos de cinco continentes y de todas las disciplinas deportivas. Tanto las buenas como las malas experiencias y situaciones vividas por deportistas como Michael Jordan, Kobe Bryant, Lionel Messi o Tiger Woods nos traerán a la mente diferentes experiencias por las que podemos pasar cada uno de nosotros. El gran aporte de este libro es que al terminar de leer este devocional habremos leído la Biblia completa. 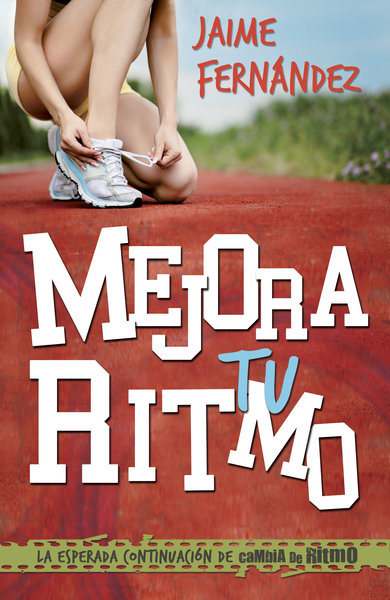 Mejora tu ritmo (Pace Yourself) is a devotional book based on stories of famous athletes from five continents and various sports. Both good and bad situations experienced by athletes such as Michael Jordan, Kobe Bryant, Lionel Messi, or Tiger Woods will bring to mind different situations that each of us can experience. The great contribution of this book is that when you finish reading it you will have read the entire Bible.